This fact holds water especially in acquisition of private companies that are not subjected to any kind of scrutiny. This is also true in case where buyer has less ability to collect data from publicly available sources. A point to note is that the target company might implement ‘reverse diligence activities’ if the transaction includes substantial stock to the buyer. 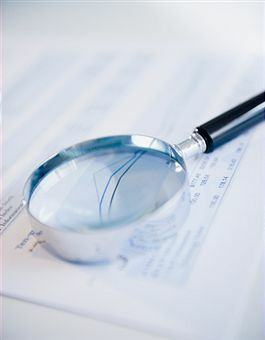 And this is where you may need due diligence services to properly investigate the company before buying. This is because it has larger scope. In this article, you will find a concise of important activities of business due diligence that are associated with a standard M&A transaction(both sides/parties). After reading this post, you will be enlightened with the top 20 Due Diligence Procedures in Merger and Acquisition Transaction. Hence, you will be able to plan better and anticipate the issues beforehand to ensure a completely successful consummate of a sale. And also giving an effective response to “Second Request” from the Federal Trade Commission or Department of Justice. Are there any issues or risks related to customer concentration? Are there any issues present with the clientele (present or former customers)? How will the acquisition affect the financial incentives (if any) that are offered to staff? Before this, you should find whether the sales team is motivated or compensated in any way? Is the current customer base satisfied with the company? For this, you can gather the client’s calls. Is there an existing client backlog? What are the comprehensive terms and policies of sales? Has the company faced returns / refunds or exchanges that can be termed out-of-the-way. What is standard revenue rate and what are the basic requirements of the working capital? Which customers are rated in the top 10 and what amount of revenue is generated from each client? Will you be able to retain customers after acquisition of the targeted company? Preparation of disclosure is an important part of M&A transaction that should be done by the targeted company. It should address all the standard points of a due diligence process. Further, it should identify the exceptions related to warranties and representations in the M&A agreement. Preparation of disclosure is a time-consuming process as it requires regular revision and update. Hence, its readying should begin at the initial stage of Merger and Acquisition Transaction. Are the patents (issued + pending) listed and briefed? Are there any disclosures in the said schedule that will disallow the buyer to raise legitimate claims in case some warranty or representation turns out to be false. Does the disclosure schedule list every contract in the targeted online data room? Whether or not their review has been done? Does the listing includes outstanding capital stocks and warrants? Dose any odd agreement exist? Is the analysis of litigation’s potential exposure done? Is the schedule completely as per the warranties and representations that have been imbibed in the acquisition agreement? Is there a full-fledged list of material contracts and corrections that also includes dates and counter-parties? Is there any possible issue in the company’s existing contracts that might cause trouble after the merger? Is there any presence of liens on assets? If yes, then what are its removal procedures during the closure? With the change in company’s control, will there be any affect of any important contract? Transactions involving person of interests like key employees, directors, and officers. The transactions may include documents, loan agreements and consultation agreements. Listings of compensation remunerative to person of interests like key employees, directors, and officers. This should be collected for last 3 fiscal years. The listing should be detailed and must include bonuses, salary and non-cash compensation (all listed separately). Data of benefits, pension, retirement schemes, compensation, incentives, sharing of profit concerning the employees. What are the retention requisites of agreements with important employees and are these suitable to be retained? Whether petroleum products are used elsewhere other than in passenger automobiles? What are the effects / results of the financial statement of last three years on its current performance? Is auditing done? If yes, then what was its frequency? Are the current as well as contingent liabilities covered in the financial statements and allied metrics? What is trend of business growth or loss? What are the facet of company’s futuristic projections – believable and reasonable? What does the chart says for projections in a financial year – company’s vs board-approved? Is the standard working capital enough to pursue the business? What is the formula of “working capital”? What are the current commitments of the company regarding its capital? For growth of business, what additional adjustments are needed and what are extra capital expenditures that are required. What are the stipulations of assets and liens thereon? What is the status of indebtedness? Is it outstanding or company guaranteed? Further, are its terms defined, if yes, that are those terms? What is its repayment time? Is there any undesired or suspicious issue related to revenue recognition? What is the status of receivable accounts and related issues? 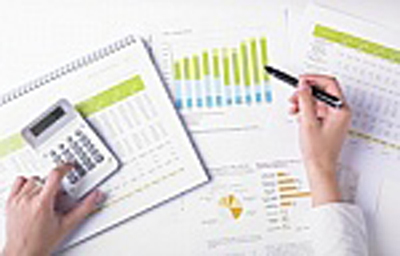 Are the capital budget and operation budget suitable for the company? What are its future plans in terms of its deferring? Are the calculations related to EBITDA been done suitably? This points becomes mandatory if your are buying a debt financing firm. One can also contact Bill Trueman a highly experienced specialist in risk review and due diligence for Due Diligence Investigation Services. Bill is a member of AIRFA, and director of RiskSkill.